A wide range of pictures showcasing ‘the best of Chester’ will be used, highlighting creative talent in the city alongside some of Chester’s most popular independent businesses. 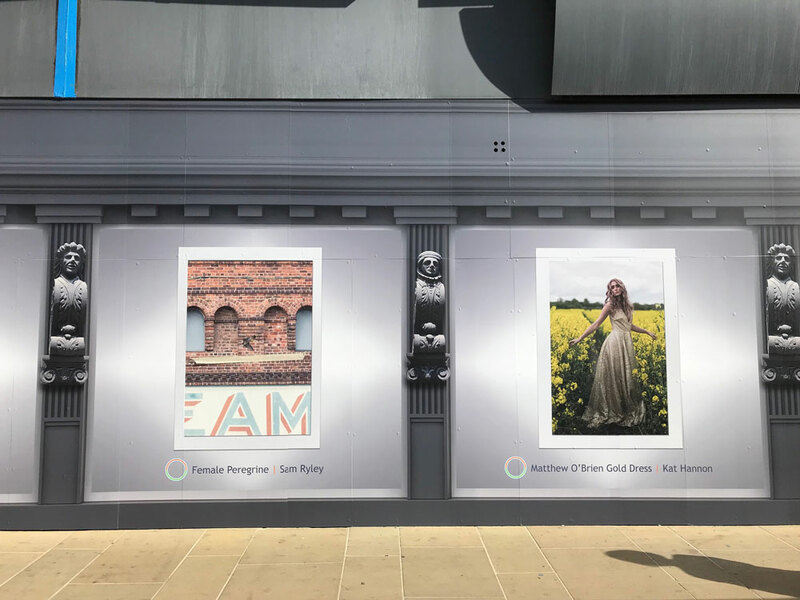 Chester-based photographer Sam Ryley from, said: “I know I speak on behalf of Mark and Kat when I say we’re all thrilled to see our pictures being used so prominently in Chester city centre. “We’re so lucky to live in such a fascinating city and have an organisation such as CH1ChesterBID championing local talent and raising the profile of the city’s many independent retailers. 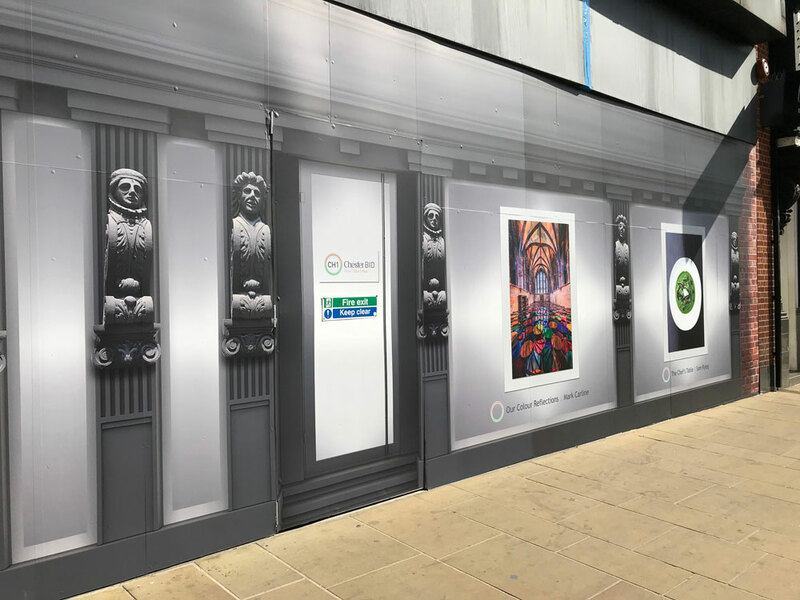 “As a local photographer, I have a long-standing affinity with this city and obviously it’s never great to have empty shops on the high street, but we’ve really enjoyed working with CH1ChesterBID on this project. The photography project and the vinyl artwork is set to stay in place until a new tenant can be found. 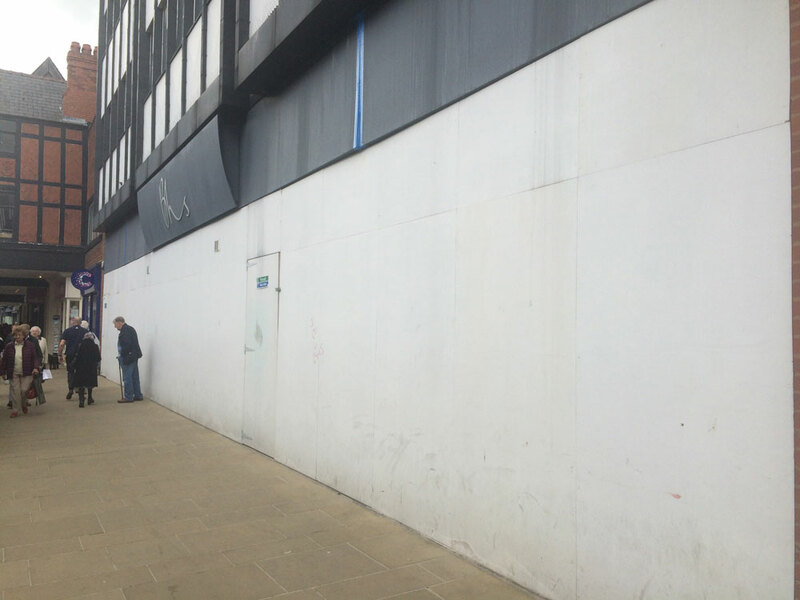 There are also plans to apply virtua shop fronts to other empty stores in the city centre, to show how the high street could potentially look in the future. Carl Critchlow, manager of the CH1 Chester Business Improvement District (BID) said: ““The high street of today is constantly evolving, so as businesses come and go, managing units that become empty is all part of good city centre management. 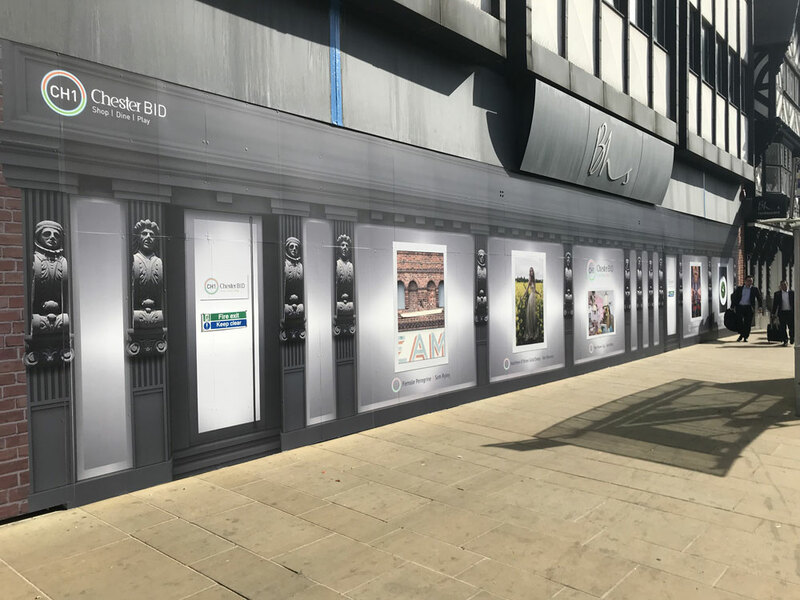 The old BHS unit has been empty for a while now so we have used it as a canvas to showcase the very best that Chester has to offer and hopefully the unique design will give potential tenants an idea of how the unit could look. “In addition to Improving the appearance of empty units in the city, we have been speaking with local landlords to better understand the challenges involved in letting commercial premises in Chester to ensure BID activities make the city as attractive as possible to potential new businesses.